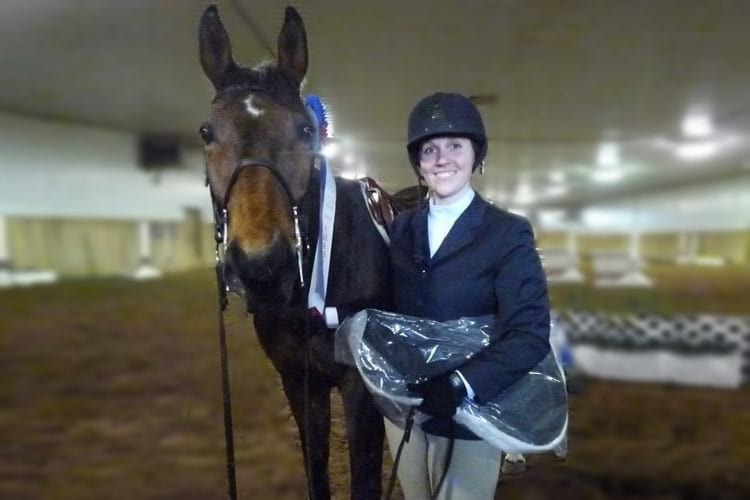 From the standpoint of a saddle fitting specialist, a saddle pad with open pockets (i.e. 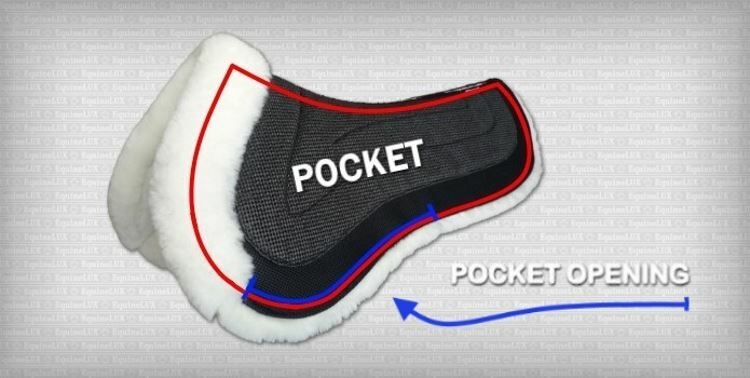 compartments that are not divided into sections) is much easier to use and adjust in terms of the way it fits the horse, in comparison to a conventional multi-pocket pad. Simple and reliable design makes EquineLUX saddle pads and half pads one of the best products currently available on the market. 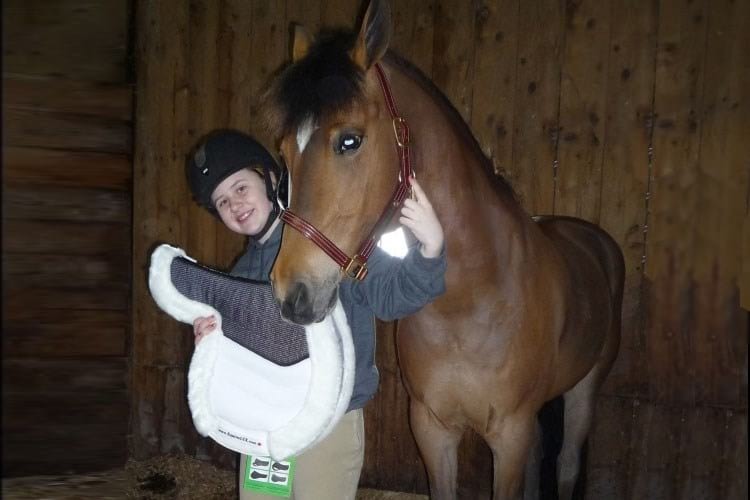 EquineLUX saddle pad with two large pockets for shims can accommodate both specialized and custom-made inserts for saddle-cushioning and saddle fitting. 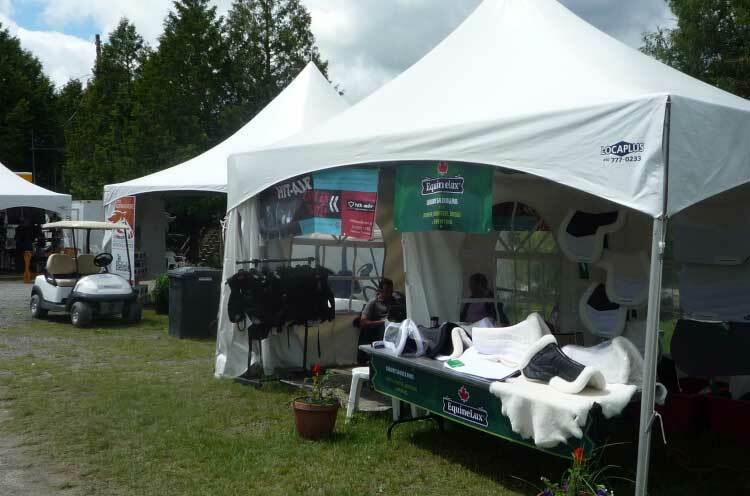 Most importantly, these large pockets can accommodate shims or inserts that are wider than the half pad's sitting area, which allows an even distribution of weight and prevents the development of pressure points, the most common horse back problem. If you take a look into one of the pockets, you will notice how the textured surface of the 3-D Spacer fabric prevents shims/inserts with rough surfaces like felt, wool fibers, or foam to move around or crumple. 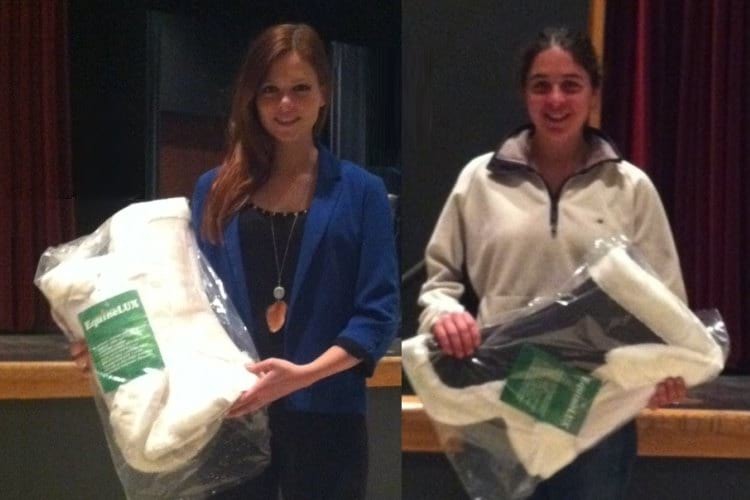 These materials literally adhere to the fabric when a rider is in the saddle. Moreover, they can be easily inserted and removed at any time through to the wide pocket openings. HR-foam inserts (shims)* for EquineLUX saddle pads with pockets (compartments) can also be cut into 2 or 3 pieces and installed separately in a way to adjust the saddle fit by providing extra cushioning or lift where it is required. NOTE: Only a certified saddle fitting specialist can add wool flock to the EquineLUX saddle half pad in order to adjust the saddle balance.